So fellow travelers, I have been at a specific crossroad on my path for a while. I knew which direction I both needed and wanted to go, yet unsure of the timing, I hesitated to take the next necessary step. 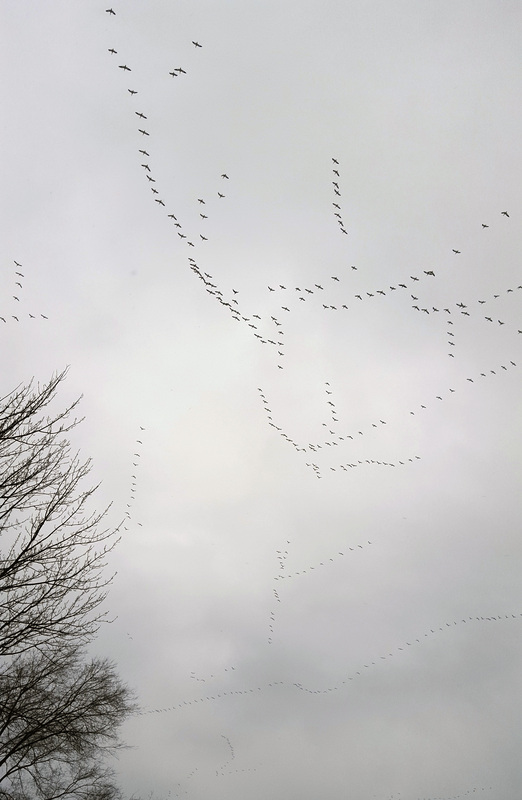 This morning on my way to mail a VIP (Very Important Package) I was waiting at the end of a road to make a turn (the symbolism of that just hit me) when movement in the sky caught my attention. 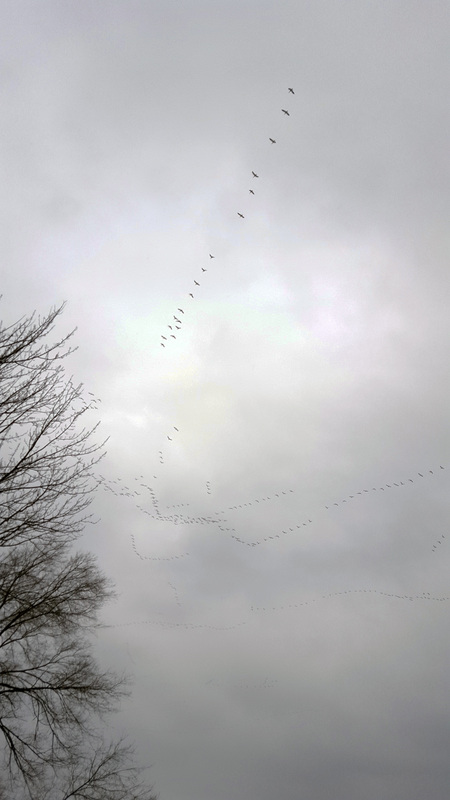 A line of migrating birds flew directly overhead and then out across the field. Soon one line was joined by another, then more and more. I rolled down my window, thankful no one had pulled up behind me, and started snapping photos with my phone. 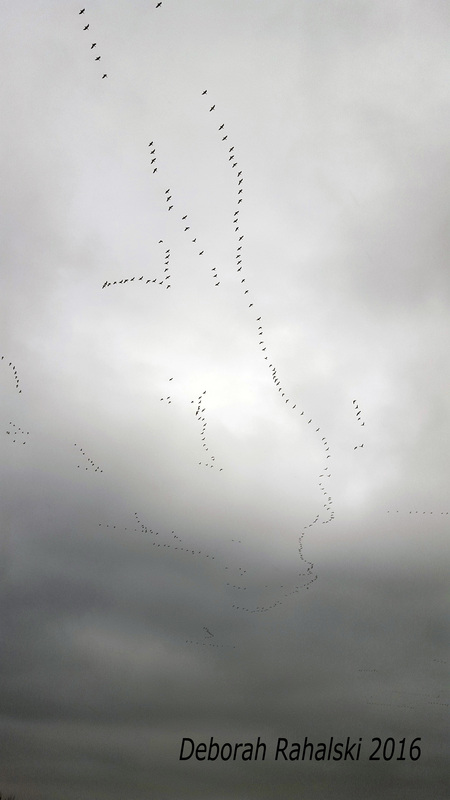 One large group flew low enough for me to see this was a flock of migrating snow geese. I watched in awe as wave after wave of magnificent white birds with signature black rimmed wings flew across the sky, over the fields and away towards the horizon. I could hear them calling to another in encouragement and support. I felt my spirit reach out and suddenly my doubts lifted skywards soaring away into the distance. I knew, I finally knew it was time. and the magic of joy. Time to choose the path where Light leads the way even when challenged by times of darkness.